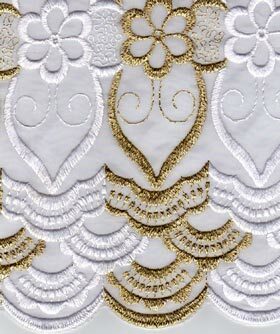 Superior Austrian white and gold bridal Voile lace with stones. ($245.00.00 Price per 5 yards. Minimum 5 yards per International order. Available in white and off white colors. Perfect for bridal and formal occasions.